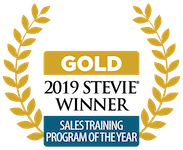 Award-winning sales training programs to cover every stage of the sales process. From prospecting and opportunity management to consultative selling, negotiation, account development, and sales management, our suite of sales training programs has your sales team covered. 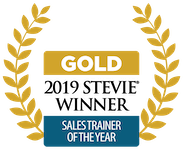 We’ve trained hundreds of thousands of sellers, sales managers, leaders, and professionals around the globe to help them improve sales skills and increase sales significantly. While 85-90% of sales training fails, yours doesn’t have to. Our sales training programs deliver 94% learning engagement and our learning system boosts knowledge retention by 170%, so skills are learned, applied, and transferred on-the-job. 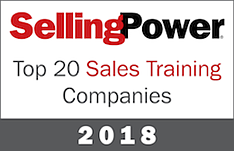 Our sales method is top-rated and RAIN Group was named to Selling Power’s 2018 Top Sales Training Companies list. All programs are research-based with insights from the RAIN Group Center for Sales Research, and field-tested, proven to work for hundreds of thousands of sellers. Training is not our focus. Behavior change is. We have a complete learning system that includes assessment, program customization, and robust reinforcement to ensure that learning happens over time to drive behavior change and top performance. Learn more. Our core consultative selling program teaches sellers how to lead masterful sales conversations from the first touch to the close. Learn more. Our advanced consultative selling program focuses on driving demand and winning opportunities by helping buyers change their thinking. Learn more. An action-learning workshop, your team will learn how to expand, penetrate, and protect your most important and high-potential accounts. Learn more. Learn strategies and actions for maximizing sales wins and ensure a consistent sales process across your team. Learn more. 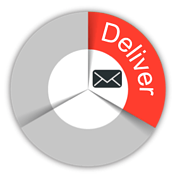 Learn how to generate leads and keep the pipeline full of qualified opportunities. Learn more. Learn how to overcome even the toughest objections and collaborate with buyers to create the best possible agreements and win. Learn more. Help managers manage, coach, and develop their teams to drive top sales performance. Learn more. Your team will learn how to excel in business development in this consultative selling program designed specifically for professional services. Learn more. Transform your team’s results by helping them maximize motivation, control their TIME, and execute in the zone. Learn more. Managers and leaders learn to become the best coaches and drive seller motivation, action, development, and wins. Learn more. Much of your sales training success is determined before you begin. Set the table for success and ensure that you're teaching the right people the right things to achieve your goals. 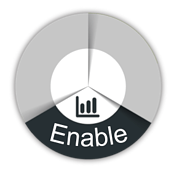 Custom programs, tools, and reinforcement make training relevant and engaging for the greatest impact. 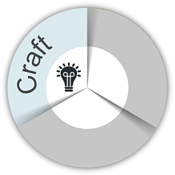 Our facilitators average 4.8 on a 5-point scale for quality scores. From one-on-one and group coaching to measurement and performance support, we make sure training sticks, behaviors change, and learning gets applied on-the-job. "RAIN Group has transformed the way we sell and our results. We rolled the program out globally and it’s helped us not only meet, but also exceed our sales goals. The training was very well received by our sales leaders and sellers around the world." Chatham Financial achieves 200% of sales targets with RAIN Group sales training. Chatham Financial realized the need to embrace business development training to get to the next stage of growth. They engaged with RAIN Group to help build business development skills and drive revenue growth. The training initiative included assessment, RAIN Selling training, Train the Trainer, Coaching, eLearning, and a year-long advanced sales curriculum for high-potential sellers. Take the first step to learn how RAIN Group’s sales training programs can help you improve the sales skills of your team and transform your sales results.